I’ve seen Algebra Tiles used, but never used them myself until today. Again, I was surprised by how much trouble students have with the concepts of area and perimeter. Going to try to address that tomorrow and then try the algebra tiles again. 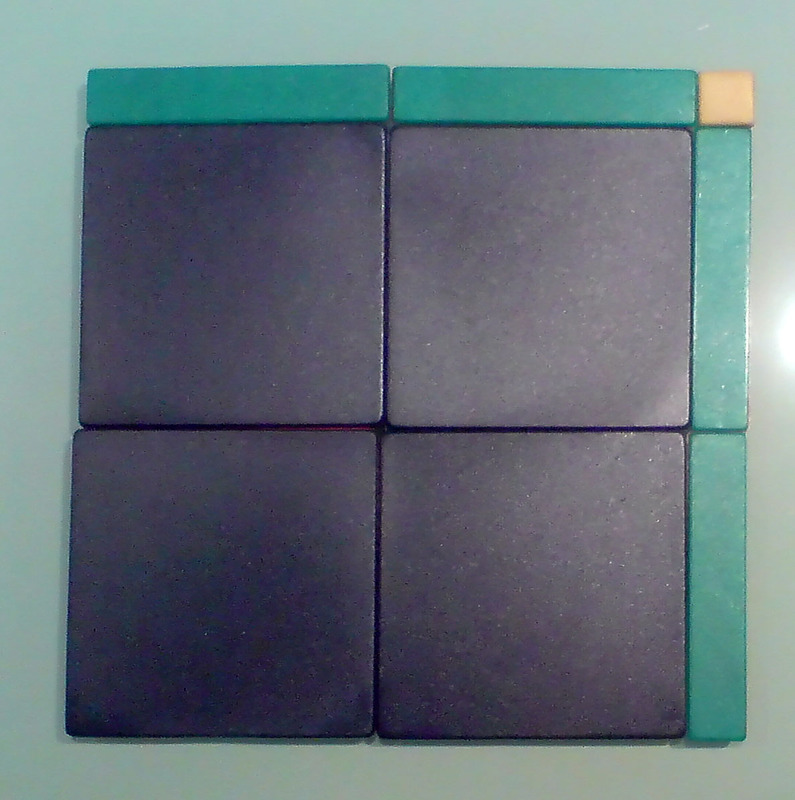 I’m using the algebra tiles to help students understand addition and subtraction of polynomials. My fifth period Math Lab was a complete disaster today. Based on their performance on the graph theory activities last Friday, I overestimated the students’ readiness for today’s activity. Today’s activity was way too vague and open-ended; I didn’t provide enough scaffolding for the task and instead got a lot of blank stares and goofing off. Even the students that seem quite diligent were twiddling their thumbs, bored and confused. It was a huge disaster. One student blamed me publicly for giving confusing instructions–and he’s right. I’m not as concerned about them not completing the task as I am them feeling like this class is a joke. What’s more, there was a new student today who didn’t speak much English and no one in the class spoke Armenian. I didn’t know how to communicate with this student and felt bad about that. What now? I think I will need to swallow my pride and put off the rest of the activity rather than keep forging ahead. Even if I could figure out the right scaffolding to give, I think I killed any budding interest in the topic. Also, I have a feeling that my enrollment on this class is going to change quite a bit again this week. Given that there’s no guidance about what this class should cover, there’s no problem with starting something different. You might try the graph theory material again in several weeks–I’d guess most students won’t remember doing it before, and those that do will feel ahead. I also suspect you’re putting much more effort into this ambiguous Math Lab than many of your peers. Hope you’re doing well.